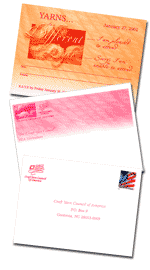 BlissDesign works with many non-profit organizations, trade associations and corporations, producing journals, invitations, programs, and specialty items for promotions or fund raising purposes. Here are just a few examples. A Bright Future, Tracking Study for the Craft Yarn Council is done about every 2 year, it consists of a projected presentation and a printed handout that highlights research done for yarn retailers. 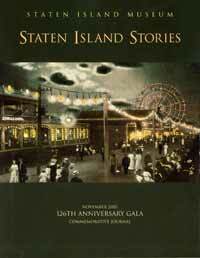 For several years we have designed the journal and invitations for the annual fund raiser for the Staten Island Museum. 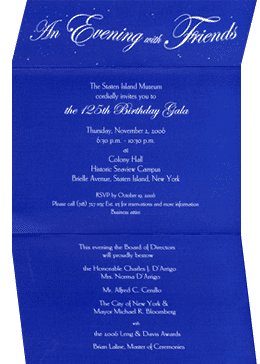 This invite, for An Evening with Friends, is on white stock, painted the page with blue ink with stars sparking. Another invite sample for the Craft yarn Council. 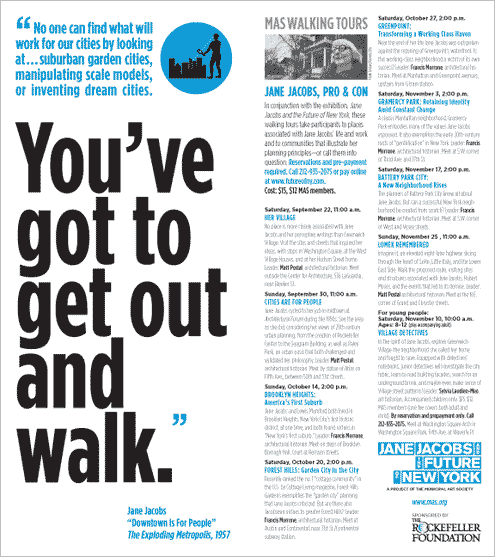 Below is tour brochure for the Municipal Art Society, Jane Jacobs tours.